When you’re on a business trip, your time budget can be just as important as financial concerns. Time indeed is money, and so you can’t spend too much time getting to and from where you need to be. Stay at Novotel Bangkok Ploenchit Sukhumvit, a Bangkok hotel in the central business district and you’ll be in a perfect business hotel of Bangkok. Our highly convenient location, as well as attractive room rates, will satisfy every budget concern. 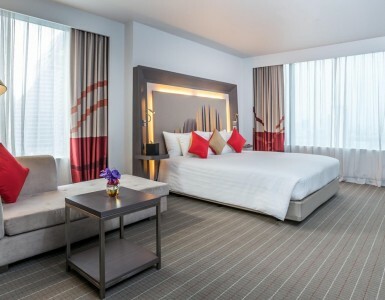 Novotel Bangkok Ploenchit Sukhumvit is a Bangkok city hotel near BTS SkyTrain – Ploenchit Station, meaning your merely steps away from the city’s cool and quick elevated train system, with convenient connection to the Bangkok’s MRT underground and Airport Rail Link public transport systems. Nearby the hotel are major office buildings including Park Ventures, Q House, Mahatun Plaza, All Seasons Place and Ploenchit Centre, many within easy walking distance. 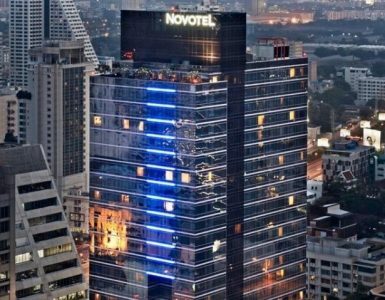 Choosing a Bangkok hotel in the central business district like Novotel Bangkok Ploenchit Sukhumvit, you are close by some of the international businesses and organisations with headquarters, such as Apple, BMW, CB Richard Ellis, Compaq, Hitachi, Microsoft, Nestle and the World Bank. Being in a Bangkok hotel in the central business district, you can reach the business addresses and entertainment and nightlife spots of lower Sukhumvit Road as little as five to ten minutes from the hotel. Bangkok’s three main exhibition and event venues – Bangkok International Trade & Exhibition Centre (BITEC), Queen Sirikit National Convention Centre (QSNCC) and IMPACT Muang Thong Thani – are easily reached from Novotel Bangkok Ploenchit Sukhumvit in approximately 30 minutes or less by public transport or metered taxi. Likewise in the immediately surrounding area are a number of embassies, among them: Austria, Egypt, Finland, Japan, the Netherlands, New Zealand, Norway, Pakistan, Poland, Spain, Sweden, Switzerland, United Arab Emirates, United Kingdom, United States and Vietnam. 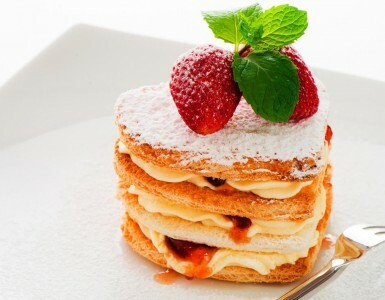 Being in a central Bangkok hotel gives you anther indirect benefit. For business lunches or to do some shopping once your work is done, Central Embassy, one of Bangkok’s newest luxury shopping centres, is almost directly opposite the hotel. Novotel Bangkok Ploenchit Sukhumvit – The best choice for business travellers. BOOK Bangkok Hotel AND SAVE!